The Baltic Exchange’s main sea freight index, tracking rates for ships transporting dry bulk commodities, fell on Tuesday, weighed down by weaker demand across vessel segments. The overall index, which factors in rates for capesize, panamax and supramax shipping vessels, dipped for second straight session, shedding 20 points, or 2 percent, to 1,003 points, its lowest since April 12. The capesize index lost 4.6 percent, or 48 points, to 1,002 points. Average daily earnings for capesizes, which typically transport 170,000-180,000 tonne cargoes such as iron ore and coal, declined by $381 to $8,341. The panamax index fell for the fifth consecutive day, easing 21 points, or 1.5 percent, to 1,416 points, its lowest since Aug. 15. 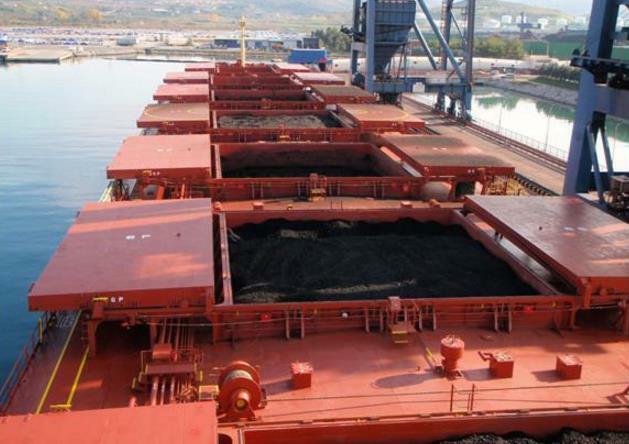 Average daily earnings for panamaxes, which usually carry coal or grain cargoes of about 60,000 tonnes to 70,000 tonnes, decreased by $169 to $11,328. The supramax index lost 1 point to 963 points.